In the 16th century in Chosun dynasty, HWANG Jung-hak and LEE Mong-hak create the “Grand Alliance” with the united dream of a better world. 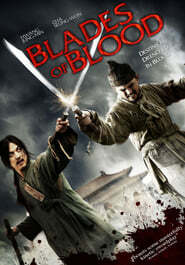 While the new leader LEE dreams of eradicating this world of all its corruption and becoming king himself, the legendary blind swordsman HWANG who had once been his comrade goes after him with the loss of his good friend at the hands of LEE. Just as the king abandoned his kingdom from Japanese invasion, the two come face-to-face inside the empty palace and begin their last battle they were destined to fight.